If you’re like most ecommerce marketers, the GDPR probably has you stressing out right about now. But if you’re on Omnisend, you don’t have to worry—we’ve got you covered. We’re fully GDPR-ready, meaning we’ll take care of the GDPR issues related to your email marketing, popups, and much more. Let’s look at the ways we’re helping our ecommerce marketers be GDPR-compliant. 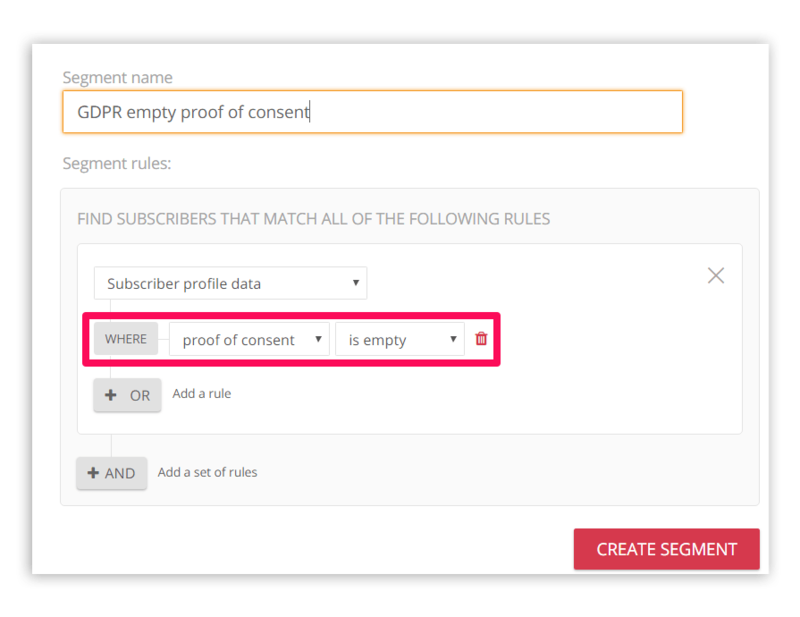 Omnisend makes it easy to contact subscribers you don’t have proof of consent for yet. You can create a segment of your subscribers and use a special template with pre-filled text to send them an email campaign asking to confirm that they’d like to continue receiving messages from you. But remember: you can only send re-consent emails until May 25. On that day, the GDPR goes into effect and you won’t be able to send these (promotional) emails anymore. But if you’ve received re-consent before then, you’ll be fine. 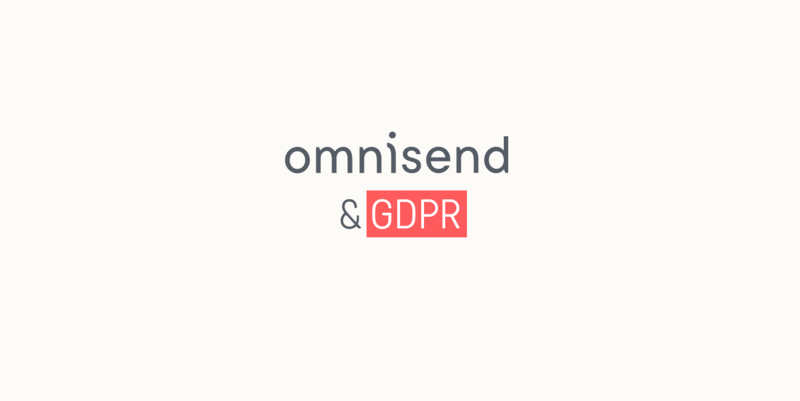 Omnisend will also store all proof-of-consent you receive, now and after the GDPR goes into effect, so that you are compliant. It’s important that your customers have easy access to their personal data you. Omnisend makes it easy by allowing easy export options. 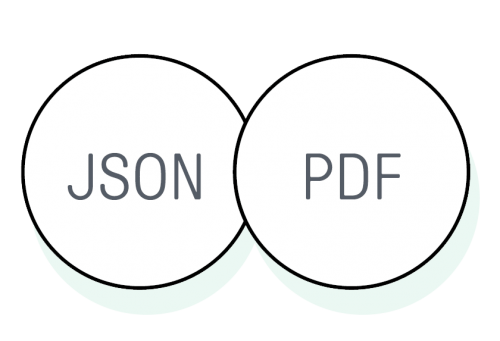 You can export customer profile data either in PDF (recommended for customers) or in a JSON file (recommended for more technical uses). With ecommerce personal data, there are a lot of data points. 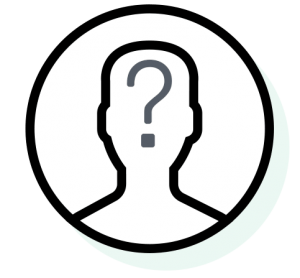 If you enable it, Omnisend will anonymize customers so that by looking at the data itself, you won’t be able to identify the customer or subscriber in any way. GDPR is all about the principles, not necessarily the techniques. They tell you what you should be doing, but they’re not too specific on how. Usually, that’s up to you, such as your Privacy and Cookie Policies. But those are one-off things. You need to make sure your daily process from May 25th onwards are GDPR-compliant, and that’s related to your marketing. But luckily, you don’t to do mental gymnastics to figure out how to make sure all your separate marketing ecommerce apps are in line with the GDPR. 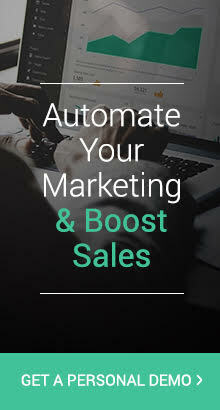 Omnisend has all the features you’re using, all rolled into one powerful marketing automation platform. We’re pretty much made for smart marketers. If you want to stop stressing out about whether you’re GPDR-compliant or not, you can stop worrying today. Get Omnisend’s 14-day free trial today and see how we can help you be GDPR-ready today.